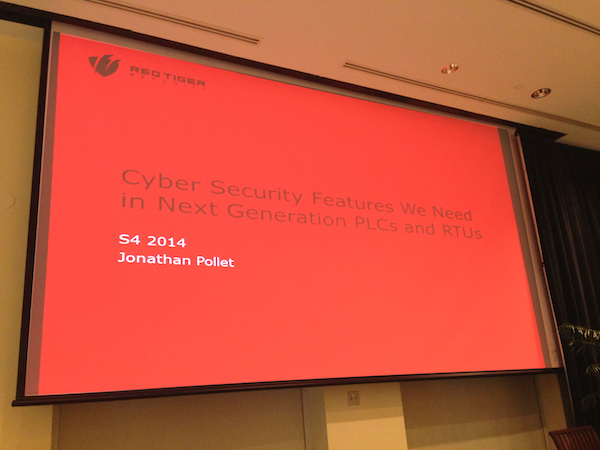 Jonathan Pollet, Founder and Executive Director of Red Tiger Security, delivered a 10 minute presentation on the cyber security features needed in the next generation of PLCs, RTUs, and embedded devices. His presentation is avalable through the S4 website http://www.digitalbond.com/s4/ and was well recieved at the conference. Thanks to all that helped make this event a huge success!